The 1320 Bias Current Source output can be controlled by LCR Meter Model 3302/3252/11022/ 11025 directly. The 1320S connected externally can output current up to 100A. The bias current scan frequency triggered automatically or manually can analyze the iron core characteristics in inductor for quality inspection and product feature analysis. 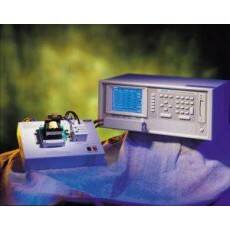 They are the best measurement instruments combination for inductor test. 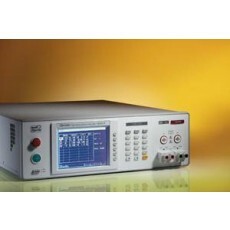 The 3250/3252 provide 20Hz-200kHz tes t frequencies, and 3302 provides 20Hz-1MHz test frequencies. 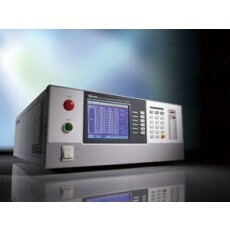 In addition to transformer scanning test function, the 3252/3302 have LCR Meter function. In test items, The 3250/3252/3302 cover most of transformer's low-voltage test parameters which include primar y test parameters as Inductance, Leakage Inductance, Turns-Ratio, DC resistance, Impedance, and Capacitance (between windings) etc. ; secondary test parameters as Quality Factor and ESR etc. ; and pin-short test function. High-speed digital sampling measurement technology combined wi th scanning test fixture (A132501) design, improve low-efficiency transformer inspection to be more accurate and faster. 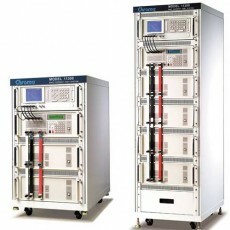 This system is designed for large DC current testing, up to 300A. The connector between bias current sources is low ESR (This system provides power choke characteristic sweep graph analysis through Windows® base software or sweep function of the meter. The bias current scan triggered automatically or manually can analyze the iron core characteristics in inductor for quality inspection and product feature analysis. 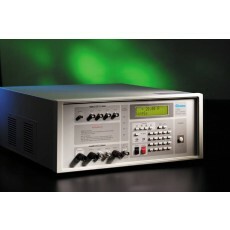 The Chroma 11300 is a just right test solution for magnetic choke and core used in various power supply. -Master/Slave link - 10 units max. © 2005-2019 ATMinc. All rights reserved.